In third comes a card that most FIFA Ultimate Team fans will be excited about. 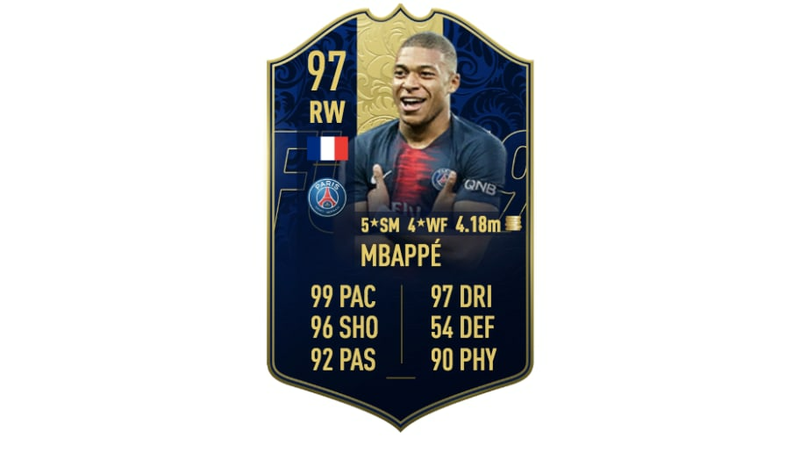 Costing a whopping 4.1 million coins, Kylian Mbappé gets rewarded with a 97 overall card for earning a Team of the Year spot. There should be no surprise that the Frenchman was included in this prestigious team as he had an incredible 2018 campaign, winning Ligue 1,Coupe de la Ligue, Coupe de France and the World Cup. Let's not forget the French football of the year, too, all at the age of 20. There hasn't been a year in which Lionel Messi has missed a Team of the Year lineup in FIFA, and it should come with no shock. Bagging 45 goals in 54 games across competitions, the La Liga winner has proven that he deserves a 99-rated card. 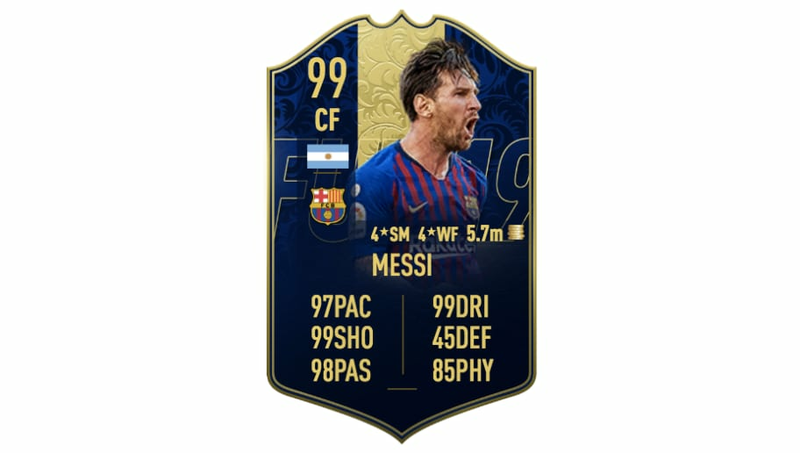 There isn't much that this card can't do in FIFA 19, sporting a 99 shooting and dribbling. The Argentinian is a perfect forward for any UT, if you have an extra 5.7 million coins to spare. 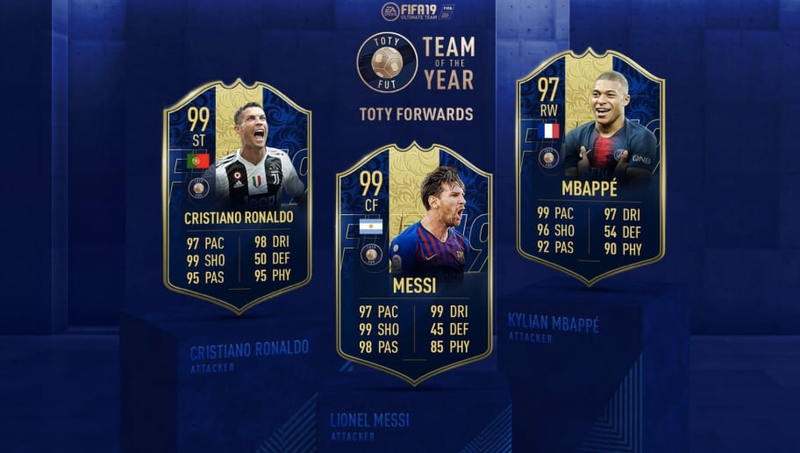 Last but not least, Cristiano Ronaldo completes this list with a TOTY card that is worth more than most players will ever earn in FIFA Ultimate Team. Going for a epic 9,570,000 millions coins, Cristiano Ronaldo is the card to get in FIFA 19. Not a lot of players ever acquire a 99-rated card, but the Juventus man deserves it and more after his 2017/2018 season with Real Madrid. 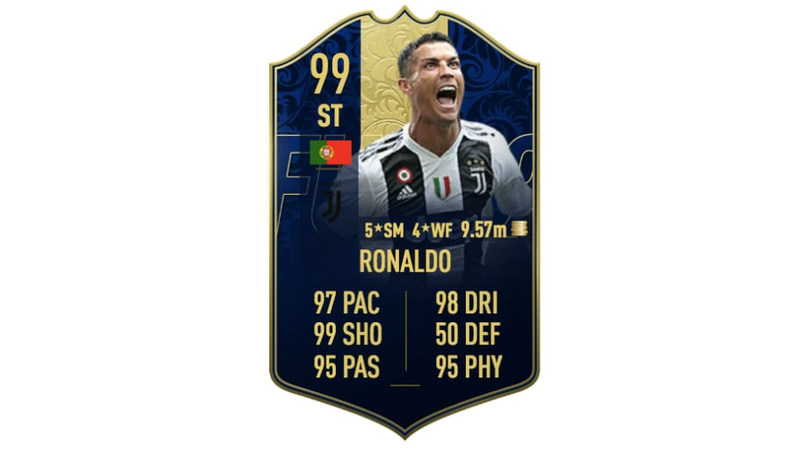 44 goals in all competitions and winning the Champions League Final, Cristiano Ronaldo is the most expensive card in FIFA 19 right now.